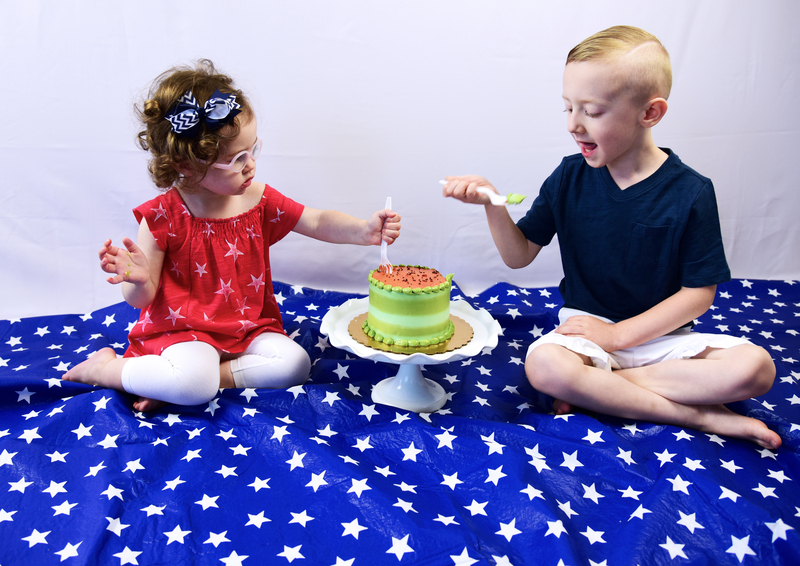 Supplies needed: A cake, place mat, forks and all your kiddos. IT IS NEVER TOO LATE TO IMPLEMENT NEW TRADITIONS, ESPECIALLY A TRADITION THAT INVOLVES INDULGING IN AN ENTIRE CAKE. If you look closely you will see that my children are mini magicians appearing to be proper, sweet and innocent beings with their tiny hands and forks…. Never mind that I had horrible lighting on this morning and was completely frustrated. Mistakenly, I had already promised these two the cake that they were drooling over in the fridge. So, the lighting being right or not, it was now the time to LET THEM EAT CAKE! 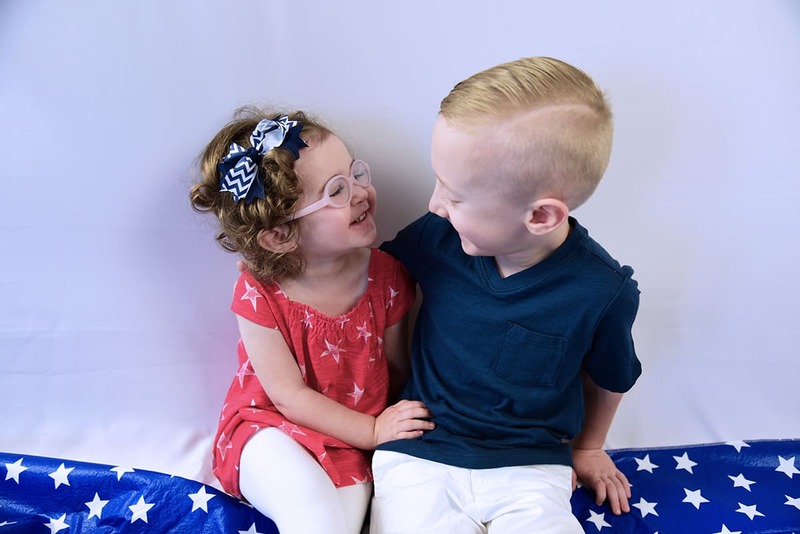 Pictured below is just a few moments later when they got a bit more comfortable and you can see the real side of these cutie patooties. 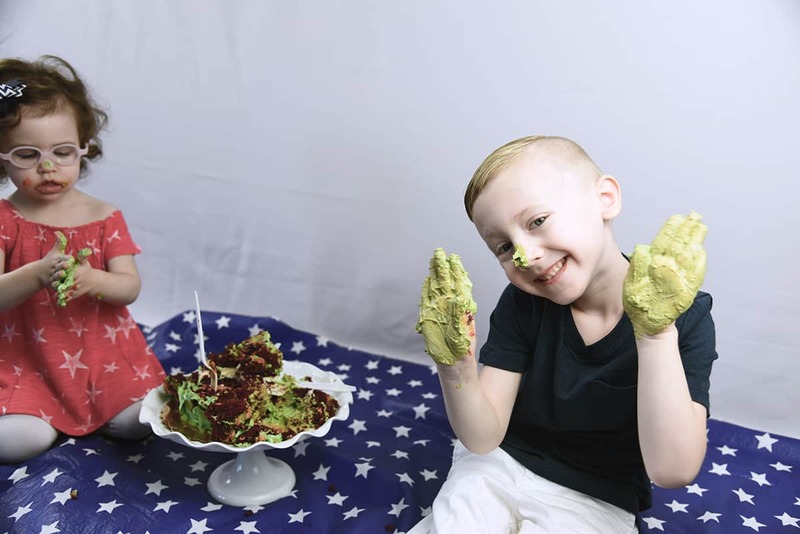 And there it is… My adorable, little stinker who just got done clapping his hands and shooting green frosting all over the room. I mean does it get any cuter than this little nose frosted face right here?! This was a memory that I will always cherish and because of that I have decided to throw an annual LET THEM EAT CAKE as our new tradition. 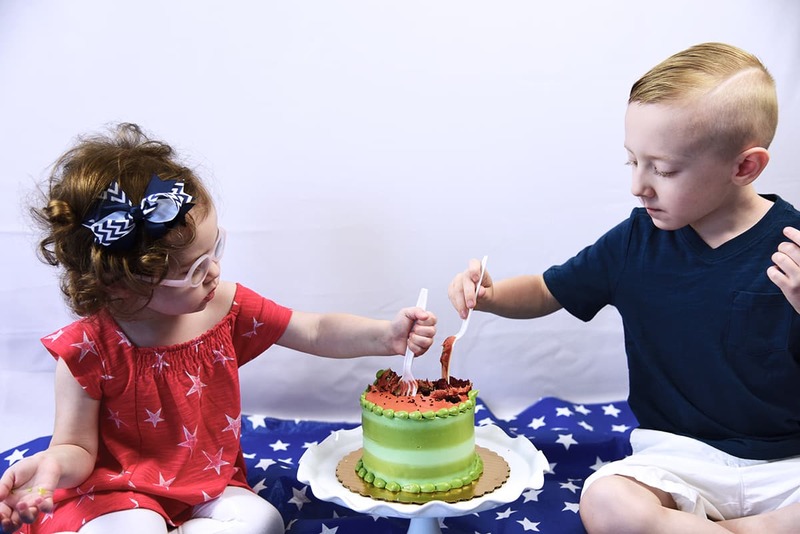 The Fourth of July is a quintessential time to celebrate the freedom we have to be messy, eat cake and have fun just because we can. 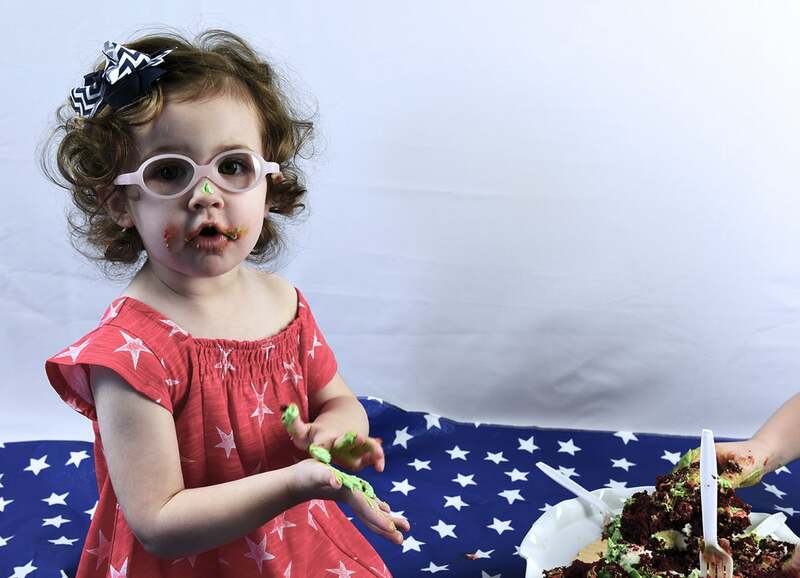 The watermelon cake is not required, but highly recommended because of it’s unbelievably high level of cuteness. Not to mention the inside of this cake is red velvet with cream cheese frosting and ridiculously delicious. Sincerely thanking my local Whole Foods Bakery for this delectable cake which they happily made upon my request.